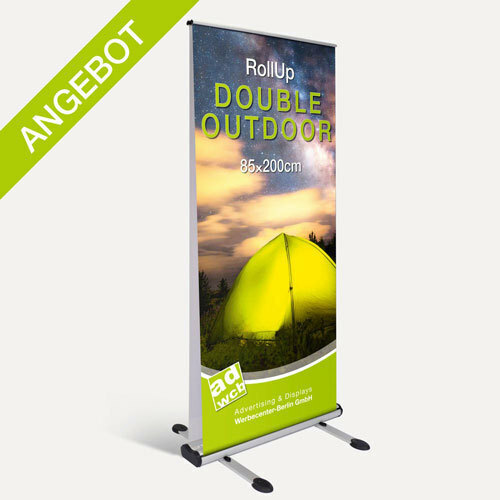 The retractable banner stand "Double Outdoor" is ideal for your outdoor presentation. 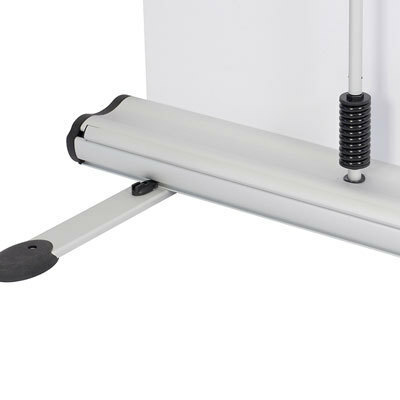 Now it is posiible to use a retractable banner stand outdoors thanks to the sturdy material of the print and system. 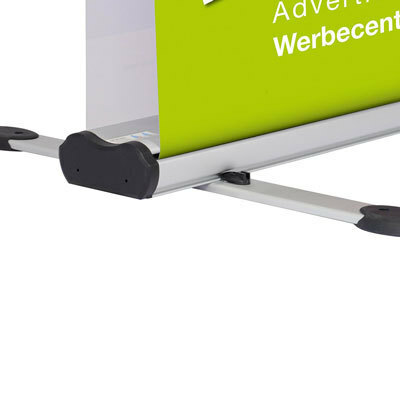 Two feet and a heavy cartridge gives the outdoor display the needed resistance against average wind speeds and weather. 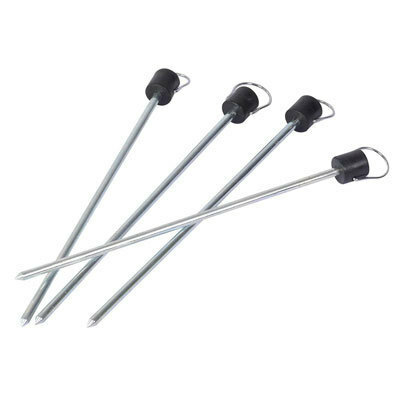 For higher wind speed we recommend to use the included ground spikes. 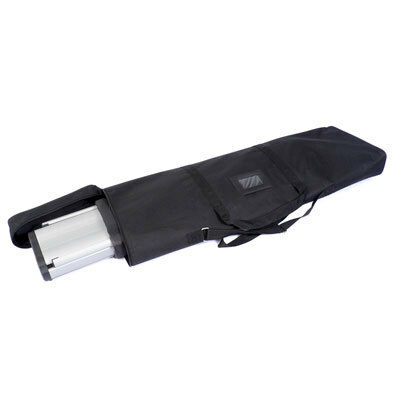 The retractable banners can be printed with different motifs on the front and back side or one motif on both sides. We print according to your print data after our free data check. The set up of the banner is very easy without any tools. For transport the print can be stored safely in the cartridge. A carrying bag is included in the offer. Digital print CMYK, UV stable, latex, 720x720dpi (file resolution max. 150dpi). Your motif on PVC banner material 510g/m² (opaque, scratch resistant), with white backside, B1 certified (fire safety class). 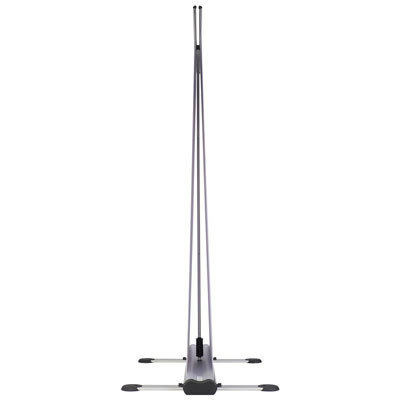 The cartridge is made of anodized aluminum with black plastic caps on the sides and on the base foot. To avoid damages of the prints please pull the prints straight out of the cartridge without rubbing the side caps. Also pay attention for disassembly. If the color compatibility is of high priority, please order a preprint. This allows you to counteract color variations and customize them in your file, if necessary.